Visitors to the Tall Ships are invited to join a celebration of all things Northumbrian at a special pop-up village in Ridley Park, Blyth. Home to more than 70 castle sites, award winning parks and beaches, thousands of artisan food and drink experts and a number of famous faces, Northumberland boasts an impressive historical and cultural heritage which will be celebrated at the Northumberland Village. The village is part of the North Sea Tall Ships Regatta which will welcome 30 Tall Ships into Blyth over the August Bank holiday. The maritime celebration is set to attract hundreds of thousands of visitors to the town to enjoy nightly fireworks, live music, street theatre and grand parades. More than 40 stalls selling some of Northumberland’s finest food, drink, fresh produce, sweets, crafts and gifts will fill Blyth’s popular Ridley Park in unique stall-containers provided by Parsons Containers Ltd. Visitors can sample what Northumberland has to offer, bring along a picnic and enjoy a programme of family entertainment from Let’s Circus including The Brothers Swag, Señor Bellzini, Tumble Circus, Witty Look and Head First Acrobats. Performances will be on Saturday and Sunday only. Some of Northumberland’s most popular visitor hotspots including Kielder Water and Forest Park Development Trust, Hadrian’s Wall, Whitehouse Farm Centre, Northumberland National Park, Woodhorn Trust, Heighley Gate and Seaton Delaval Hall will also join in the celebrations. Councillor Val Tyler, cabinet member for Arts, Leisure and Culture at Northumberland County Council, said: “The Northumberland Village will have lots to offer with live performers, stalls and attractions - the whole park will be alive with a celebratory atmosphere. Some of the containers provided by Tall Ships sponsor Parsons will also be dressed up to look like famous scenes from Northumberland. The Kielder Water & Forest Park Development Trust site will give people a taste of what they can experience when they visit the stunning park, including five-star accommodation, ways to enjoy and interact with nature and wide ranging indoor and outdoor activities. David Hall, Head of Leisure and Strategy at Northumbrian Water Group, said: “We are extremely proud to be involved in this event as a corporate sponsor and it is great to have the opportunity to be able to bring the Kielder Water and Forest Park experience to all those who visit Ridley Park. Northumberland County Council, in partnership with the Port of Blyth and Sail Training International, is hosting the prestigious Regatta which will be one of the largest events ever held in the county and the only Regatta in the UK this year. Fergusons of Blyth, one of the UK’s leading privately owned haulage companies and the biggest in the North East, has been confirmed as the Principal Sponsor for the event in celebration of their 90th Anniversary. For more information about the North Sea Tall Ships Regatta Blyth 2016, visit: www.tallshipsblyth2016.com. 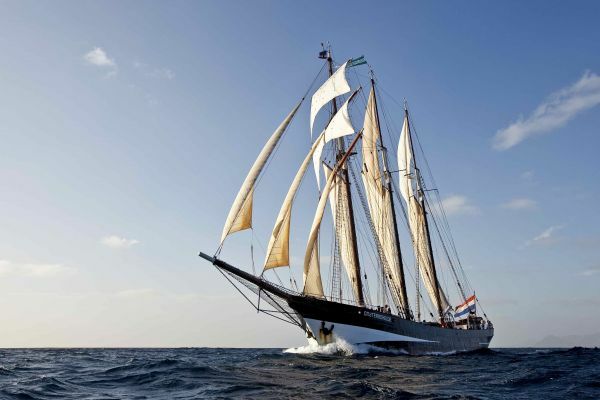 For further information on Sail Training International, visit: www.sailtraininginternational.org. Watch the spectacular gathering of Tall Ships as well as enjoying live music, street theatre and a Crew parade.